Dr. Ayoub practices in General Surgery, Pediatric Surgery, and Surgical Critical Care. Dr. Ayoub is a past-president of the Macon Surgical Society and has been a fellow of the American College of Surgeons since 1985. 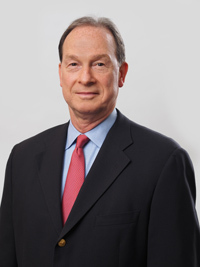 He is also a member of the American Medical Association, the Georgia Surgical Society, The Royal College of Surgeons of Edinburgh and The Royal College of Surgeons of England. Other society memberships include the Society of American Gastrointestinal Endoscopic Surgeons, the Society of Critical Care Medicine, the Southeastern Surgical Congress and a founding member of the Will C. Sealy Surgical Society. Dr. Ayoub is Board Certified in General Surgery and has a Medical Certification in Surgical Critical Care. Following the opening of Mercer University School of Medicine in 1982, Dr. Ayoub was appointed Associate Professor in the Department of Surgery in 1984 and in 1995; he was promoted to Professor of Surgery. Dr. Ayoub has pursued a vigorous academic career both at Mercer University School of Medicine and The Medical Center of Central Georgia. 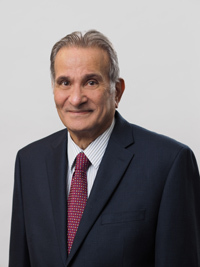 Dr Ayoub was nominated Attending Physician of the Year award on nine occasions including the first award in 1985 by the graduating classes of Mercer University School of Medicine. Dr. Ashley practices in General Surgery, Surgical Critical Care, and Critical Care Medicine. Dr. Ashley received his Bachelor's Degree from Transylvania University in Lexington, Kentucky, and his MD Degree from University of Kentucky. He completed his General Surgery Residency at The Medical Center of Central Georgia and Mercer University School of Medicine which was followed by a Trauma Fellowship at Grady Hospital, Emory University School of Medicine, in Atlanta, Georgia. His Surgical Critical Care Fellowship was completed at University of Pittsburgh Medical Center in Pittsburgh, Pennsylvania. Dr. Ashley is the Director of Trauma and Adult Critical Care at The Medical Center of Central Georgia and Professor of Surgery at Mercer University School of Medicine. Dr. Ashley is a member of numerous medical societies, including the American Association for the Surgery of Trauma, the Eastern Association for the Surgery of Trauma, the Society of Critical Care Medicine, the Southern Surgical Association, and the Society of University Surgeons. He is a member of the American College of Surgeons Committee on Trauma where he serves as chair of the Information Technology Committee. 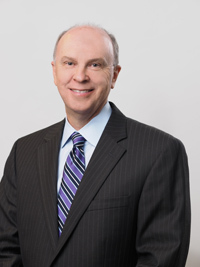 He also serves as one of Georgia's Governors for the American College of Surgeons, and is currently the Chairman of the Georgia Trauma Care Network Commission. Dr. Thompson practices in General Surgery and Advanced Laparoscopic Surgery & Surgical Oncology. He also specializes in Breast surgery and Surgical Oncology. Dr. Thompson is board certified in General Surgery. He received his Bachelor's Degree from Georgia Institute of Technology and his Doctorate of Medicine from the Medical College of Georgia School of Medicine in Augusta, Georgia in 1982. He then completed his residency in General Surgery at University of Texas Southwestern Medical Center & Affiliated Hospitals in Dallas, Texas where he was on the faculty in surgery for twelve years. 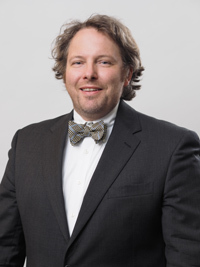 Dr. Thompson serves as an Associate Professor of Surgery and Associate Chair of Clinical Education for the Department of Surgery at Mercer University School of Medicine. He also serves as the Associate Program Director for the General Surgery Residency Program at The Medical Center of Central Georgia. He is also the Director of the Simulation Center at The Medical Center of Central Georgia. Dr. Christie practices in General Surgery, Surgical Critical Care and is also a robotically trained surgeon. Dr. Christie graduated from The University of Georgia and went on to complete his Doctor of Medicine at Mercer University School of Medicine where he went on to complete his General Surgery and Surgical Critical Care training. 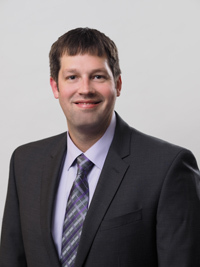 After completing his training, Dr. Christie joined the faculty at The Medical Center of Central Georgia, where he serves as Attending Trauma Surgeon, Assistant Professor in the Department of Surgery and Surgical Critical Care Intensivist, and General Surgeon. He is also Program Director for the Department of Surgery, Mercer University School of Medicine. Dr. Christie is Board Certified and a member of the American College of Surgeons and the Society of Critical Care Medicine. Dr. Parel practices in General Surgery including Advanced Laparoscopic, Robotic, Surgical Oncology and Bariatric Surgery. Dr. Parel received his Bachelor's Degree from the Honor's Program at the University of Georgia in 1993 and earned his Doctorate of Medicine from Medical College of Georgia in 1997. Dr. Parel went on to complete his General Surgery Internship and Residency at The Ochsner Clinic in New Orleans, Louisiana before entering into private practice. 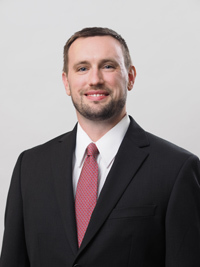 After 10 years of private practice he joined the faculty at The Medical Center of Central Georgia where he currently serves as an Assistant Professor of Surgery at Mercer University School of Medicine. Dr. Parel is Board Certified and a member of the American College of Surgeons, Southeastern Surgical Congress, and also serves as a Board Member of the Bibb County Medical Society. Dr. Christie practices in General Surgery, Surgical Critical Care, Surgical Oncology, Advanced Laparoscopic, Breast and Endocrine Surgery. Dr. Christie completed her General Surgery Residency and Surgical Critical Care Fellowship at Mercer University School of Medicine. 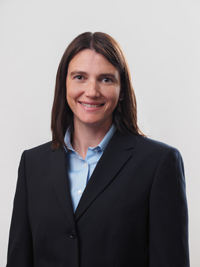 Dr. Christie joined the faculty at The Medical Center of Central Georgia where she currently serves as an Assistant Professor in the Department of Surgery and Surgical Critical Care Intensivist. Dr. Christie is Board Certified in General Surgery and Surgical Critical Care. Dr. Vaughn practices in General Surgery, Colon & Rectal Surgery, Advanced Laparoscopic and Bariatric Surgeries. 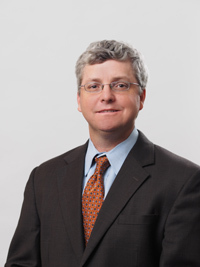 Dr. Vaughn completed his undergraduate studies at the University of Georgia and earned his Medical Degree from Mercer University School of Medicine going forward to complete his Surgical Residency training at The Medical Center of Central Georgia. His postgraduate training focused on his interest in Laparoscopic Surgery as well as Weight Loss Surgery. Dr. Vaughn is Board Certified by the American Board of Surgery and serves as an Assistant Professor of Surgery at the Mercer University School of Medicine, Medical Director of the Bariatric & Metabolic Institute of Georgia Surgery Program at the Medical Center of Central Georgia and as Director of Mercer University's Surgery Clerkship. 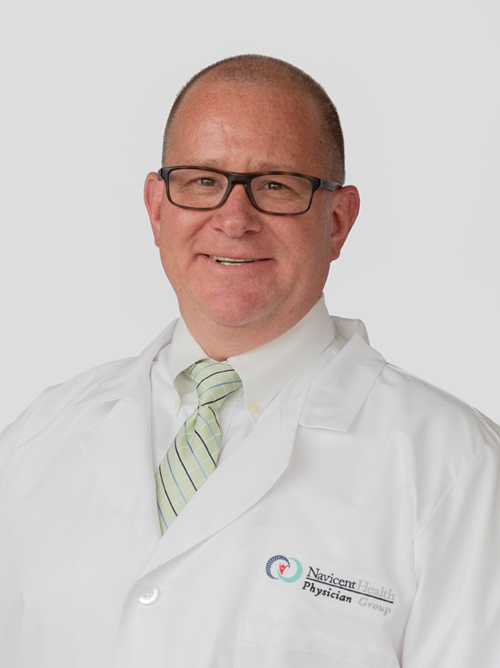 Dr. Long practices in General Surgery, Laparoscopic Surgery, Hernia Surgery, Endocrine Surgery, Breast Surgery, Trauma/Critical Care, Melanoma and Skin/Soft Tissue Lesions. He completed his General Surgery Residency and Surgical Critical Care Fellowship at Mercer University School of Medicine and joined Surgical Institute in 2014. Dr. Long is Board Certified in General Surgery and Surgical Critical Care. Dr. Rion received his Batchelor of Arts degree in Zoology with a minor in Social Gerontology from Miami University in 1994. He attended medical school at The Ohio State University School of Medicine and received his M.D. degree in 1998. His surgical residency training was completed at Atlanta Medical Center from 1998 to 2003. Dr. Rion has been in private general surgery practice since 2003, spending his last 13 years in Milledgeville, Georgia. He served as Chief of Surgery at Oconee Regional Medical Center from 2008-2010. His professional interests include minimally invasive surgery, breast surgery, and hernia repair. Dr. Rion is married to Barbara and they have two sons, Tyler and Matthew. The family lives in Milledgeville. Anita Watson practices in general and trauma surgery. She has 18 years of experience in Emergency and Trauma Care. She performed her duties as a registered nurse in Emergency Medicine, Critical Care, Assistant Director of Nursing and Trauma Coordinator. She served for 10 years teaching medical staff CPR, Pediatric Advanced Life Support, Advanced Cardiac Life Support, Trauma Nursing Core Curriculum, and Emergency Nursing Pediatric Course. She received Board Certification in Emergency Nursing, Certification in Advanced Trauma Care for Nurses and is a member of American Association of Nurse Practitioners. She received her Associate Degree in Nursing Science from Darton College in Albany, Georgia, Bachelor of Science Degree and Master of Science Degree with a concentration in Family Nurse Practitioner from Albany State University in Albany, Georgia. Anita joined the faculty at The Medical Center of Central Georgia, and also serves as co-chair on the Advanced Practice Nursing Council.